In April, Dani and I took a girls trip to Disneyland. But, this was not just any Disney visit. 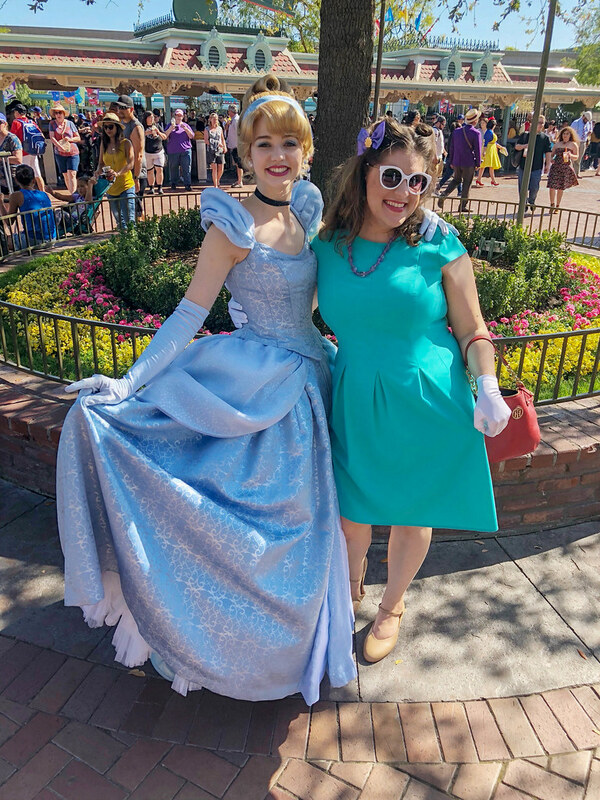 We were there for Dapper Day! 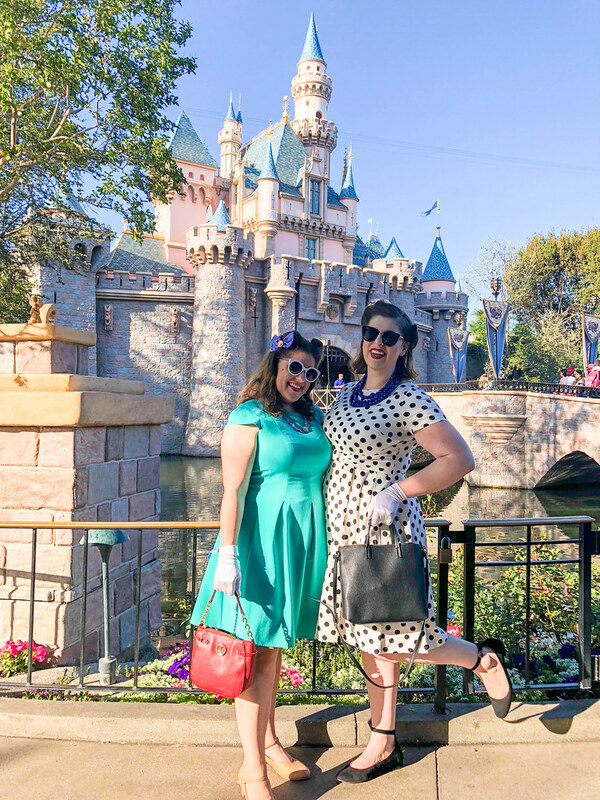 Started in February 2011 by LA designer Justin J., DAPPER DAY® Events celebrates refined style from yesterday and today by organizing elegant outings and social events with distinguished locations including museums, theme parks, and more. 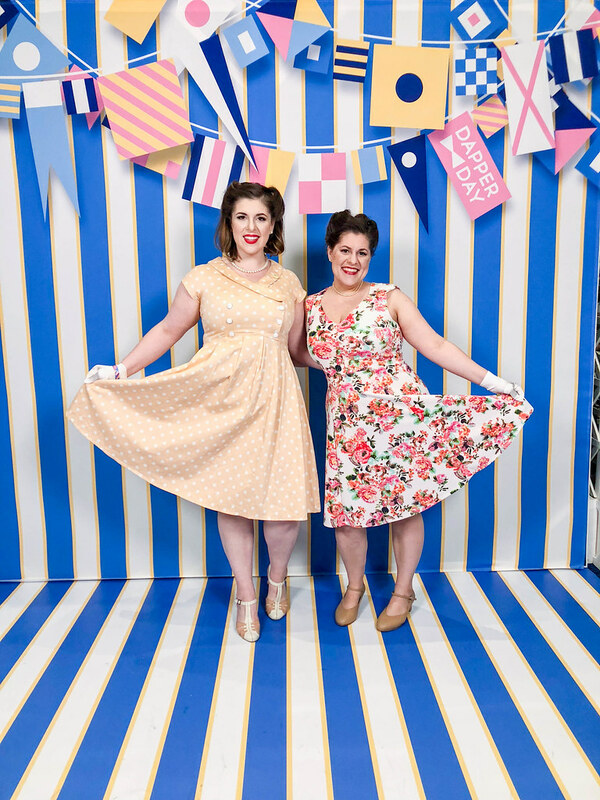 Our Spring and Fall DAPPER DAY Expo at the Disneyland Hotel in Anaheim, CA, celebrates stylish living from yesterday and today with bands and dancing, vintage and contemporary clothing and accessories, jewelry, barbers, beauty products, and beyond. 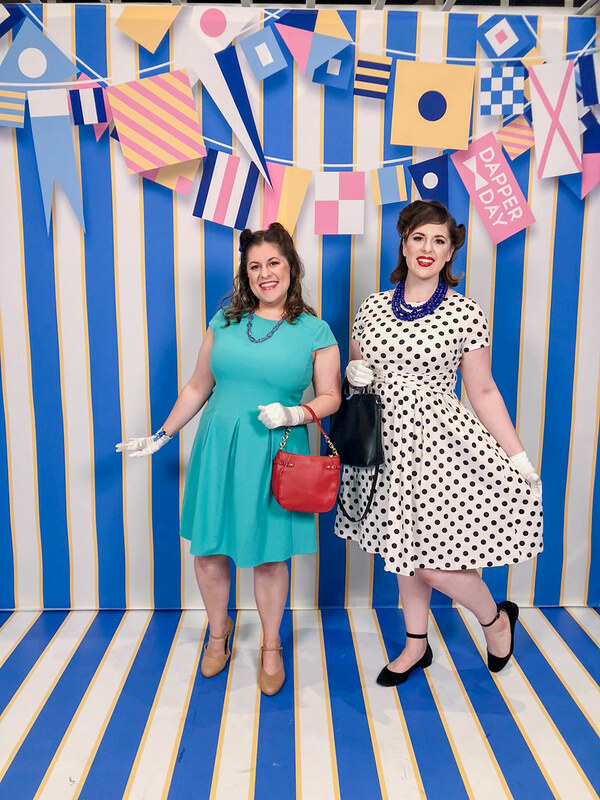 DAPPER DAY is also a personal accessories brand which reflects our fun and bright “whimsical-chic” aesthetic. 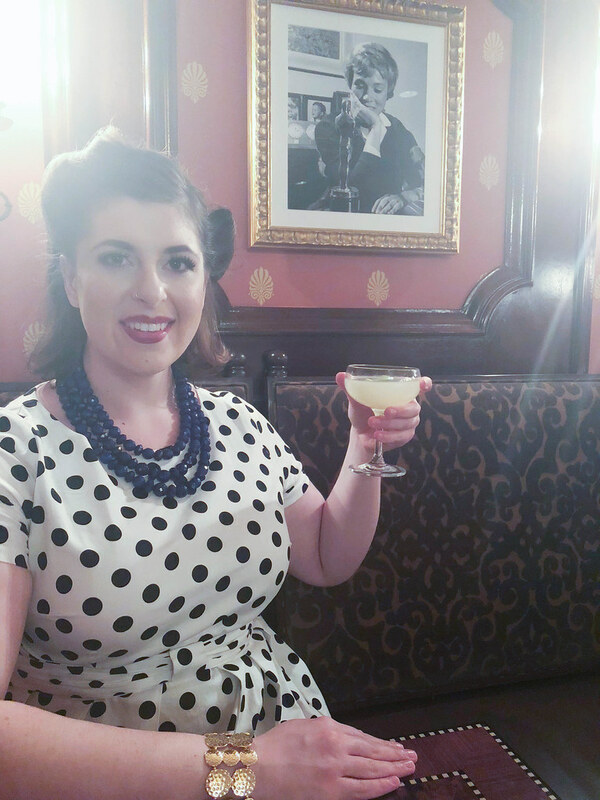 Joshua and I accidentally stumbled upon Dapper Day when we were last in Disneyland in 2016. We saw all these people dressed up so nice and didn’t realize what it was for. 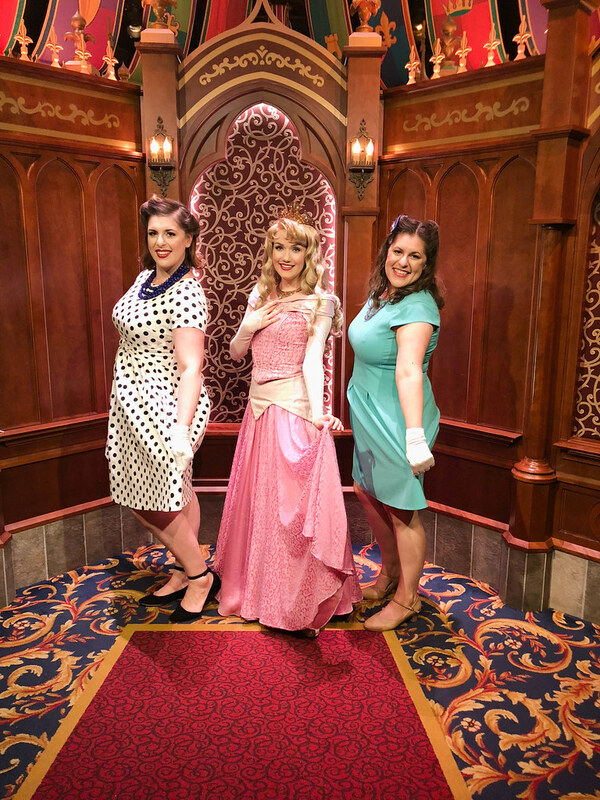 Some took it further and did a vintage spin on a Disney character (AKA Disneybounding). 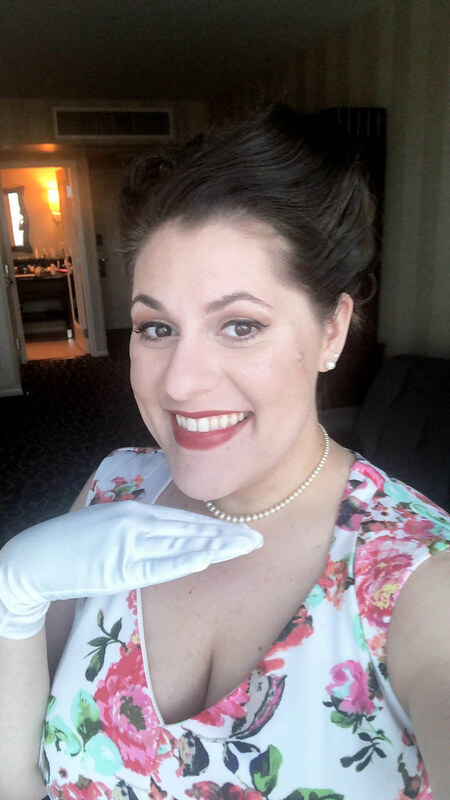 After researching what Dapper Day was all about, I knew I wanted to participate in a future event. Of course, I thought of my sister the whole time because she goes swing dancing weekly. She usually dresses up in vintage clothing, so this event was right up her alley! 2017 was a crazy year, so the Spring 2018 event is the one we attended. 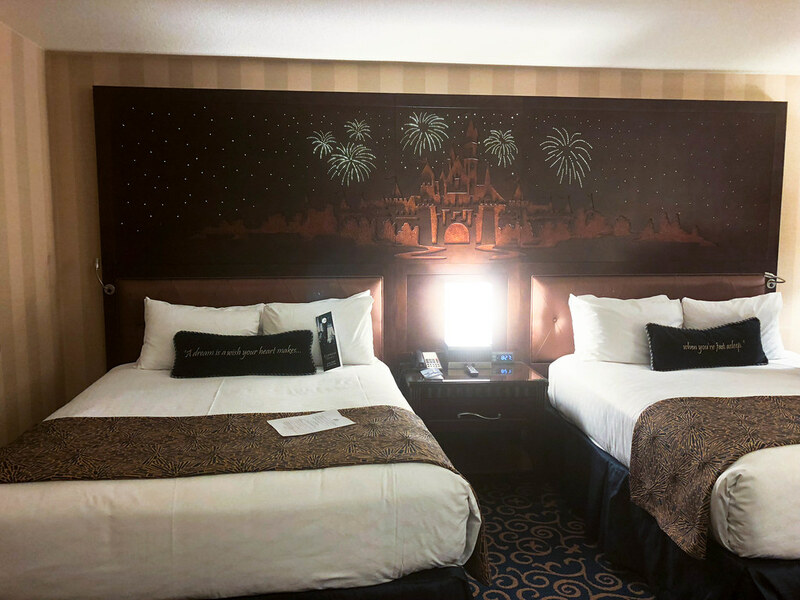 We decided to treat ourselves and stay at the Disneyland Hotel, something neither one of us had ever done. 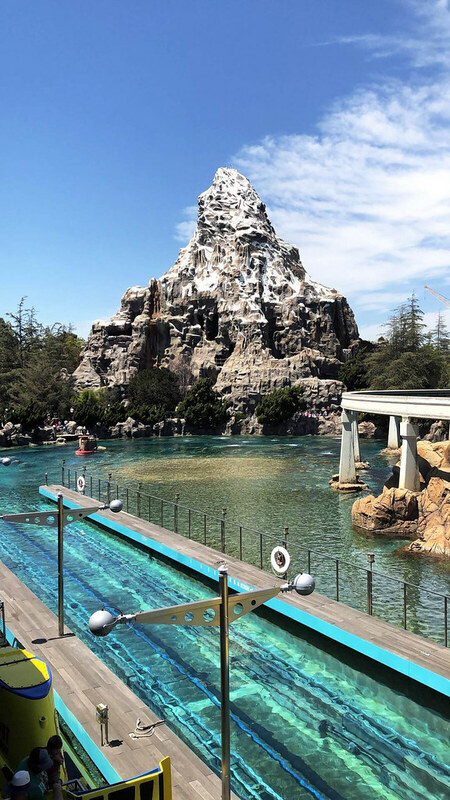 Plus the Dapper Day Expo is held at the hotel, so it made sense to be close to everything. And since we were there for Dapper Day we got a sweet discount on both our hotel room and park tickets. 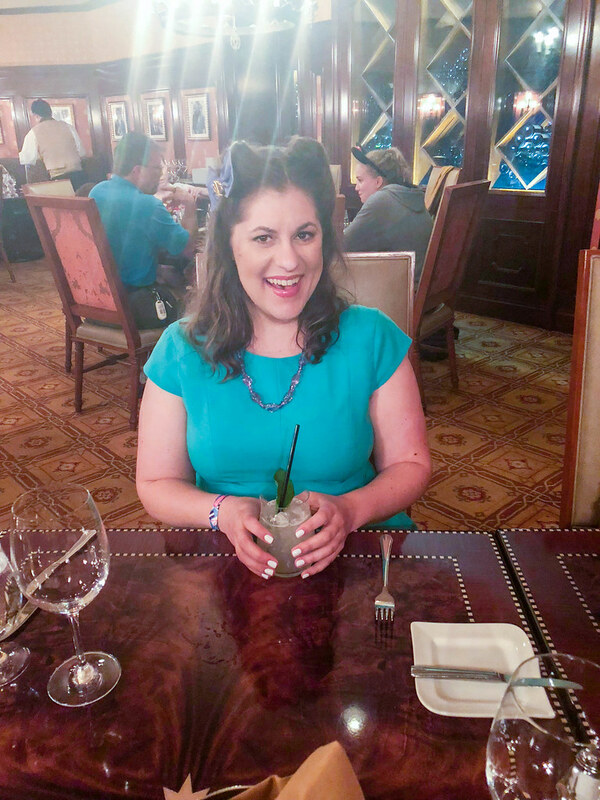 I booked our flights through Southwest, and I made reservations for Blue Bayou and Carthay Circle. Everything was set. All we had to do was figure out our outfits! 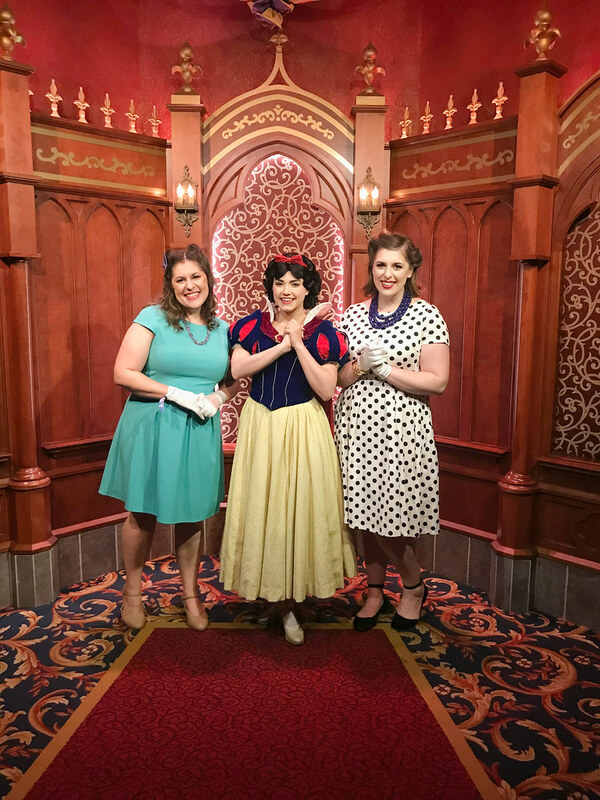 I spent an afternoon trying on dresses, seeing what fit and how I could Disneybound them. I chose two dresses, a floral one to wear to the expo, and an aqua one to wear on the outing day to go as Ariel, my favorite Disney character. We took an evening flight from Sacramento to John Wayne airport, which got us into town a little after 7 pm. We took a Lyft to our hotel, checked in, dropped off our stuff, and then took a Lyft to a nearby Target to pick up some things. Both of us really wanted to stay on track with our dietary protocols, so we picked up some things like fresh fruit, almond milk to make protein shakes (we brought our protein powders), hard boiled eggs, and a 24 pack of water bottles. 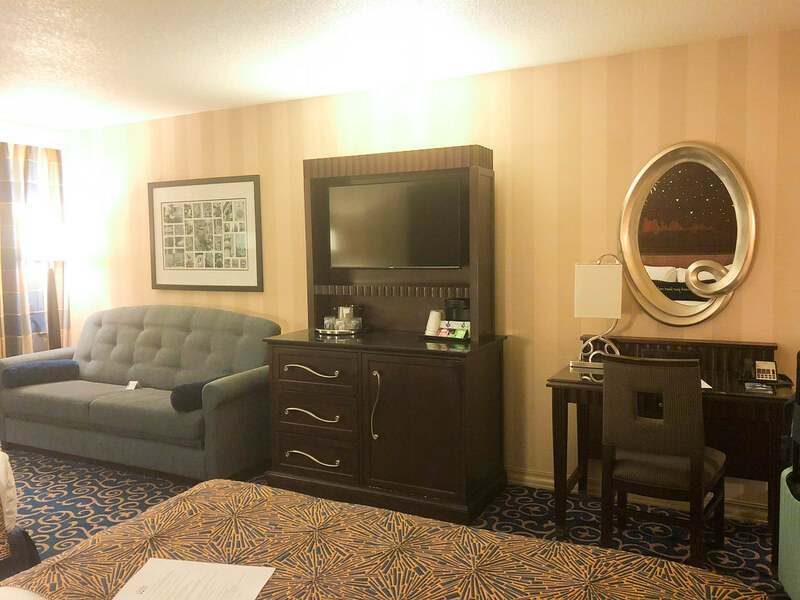 Our hotel room had a mini fridge, which was perfect for storing our stuff. We definitely saved money both on breakfast and water during our stay. We ended the night with a late dinner at Rainforest Cafe in Downtown Disney. 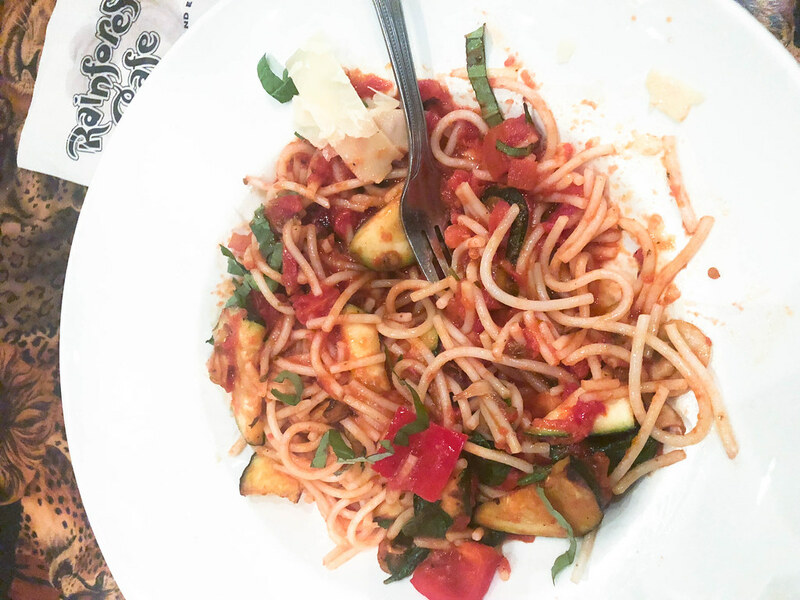 I had their Anaconda Pasta which had quinoa spaghetti (gluten-free), local garden vegetables, basil, shaved parmesan cheese, red pepper flakes, and white wine tomato sauce. Very yummy and allergy friendly! Since we’re staying at the Disneyland Hotel (located at the end of Downtown Disney) we got to enjoy the perk of Magic Hour. 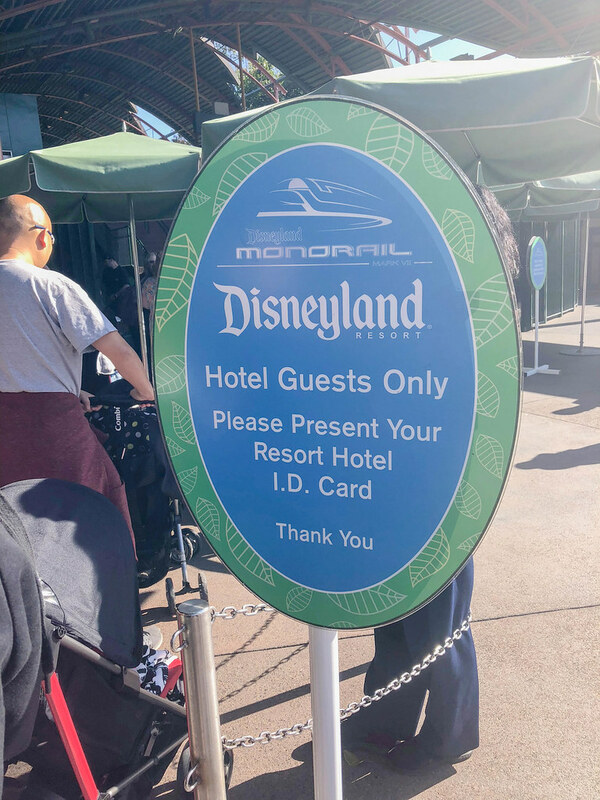 This allows you into the park an hour before the general public, which is a fantastic way to hit up major attractions before the lines get long. 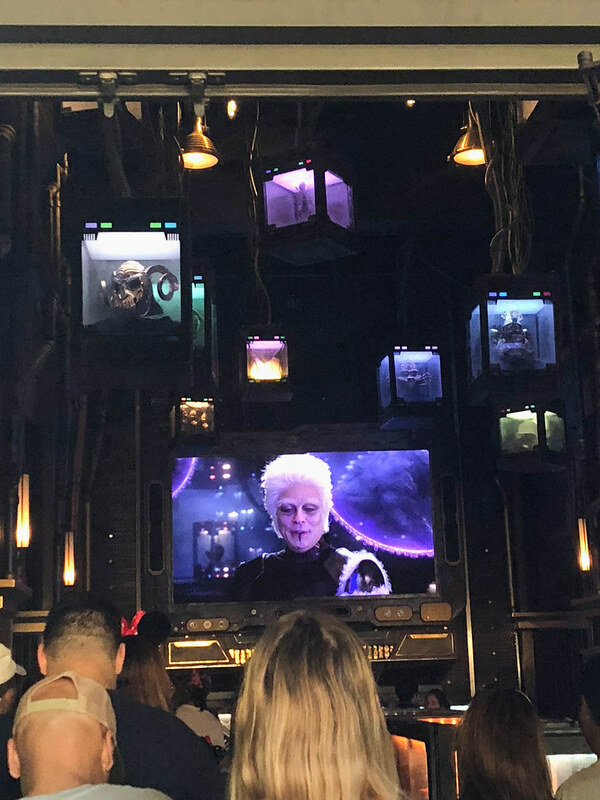 Not only did we do Magic Hour both days, but we were able to take the Monorail into Tomorrowland from Downtown Disney thus saving us additional time. This was so handy especially when we wanted to go back to the hotel in the middle of the day for a break. 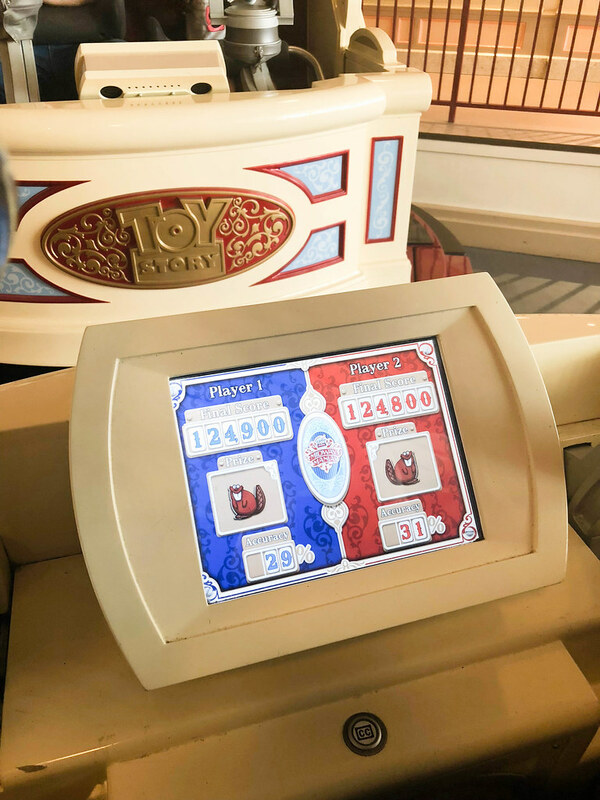 We got in as many rides as we could, took a sneak peek at Star Wars Land, and even ran into Woody. 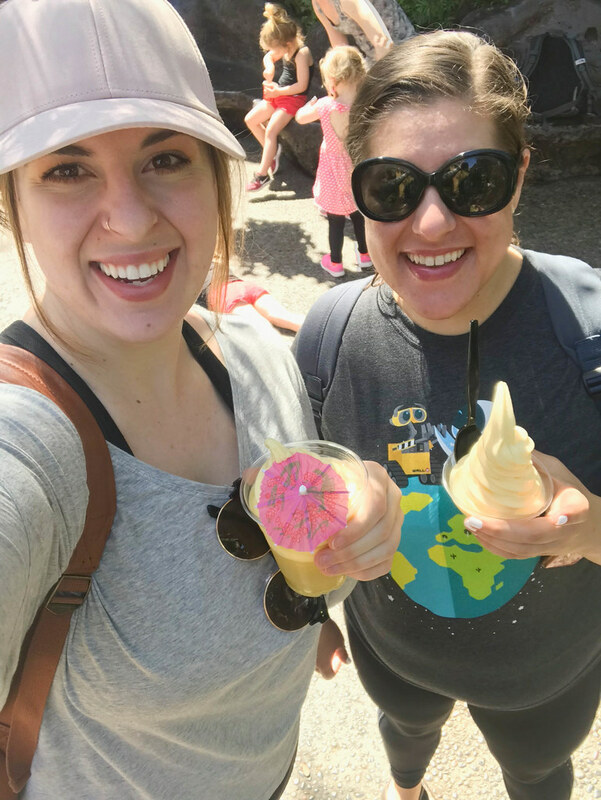 We stopped at the Tiki Room so we could get a Dole Whip for a mid-morning snack, and after going on a few more rides we had lunch at Jolly Holiday Bakery. 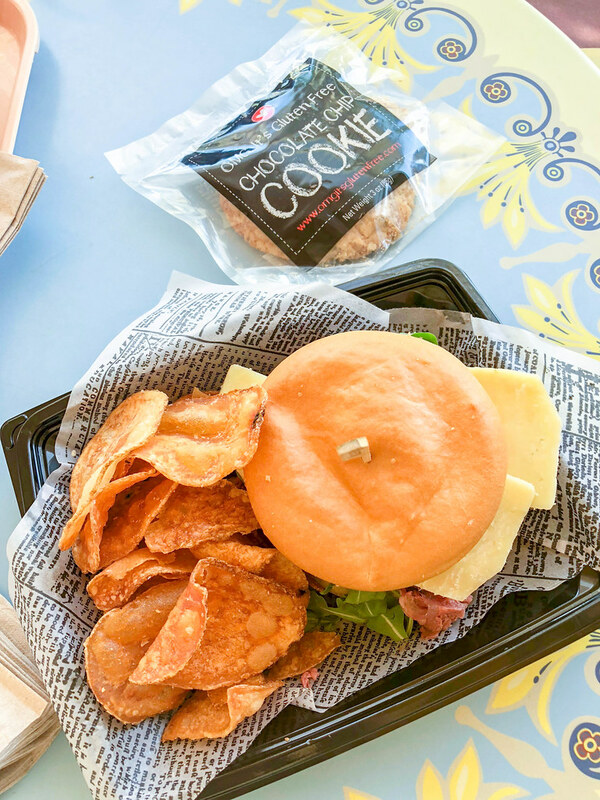 I knew from my last trip I could get a gluten-free sandwich there, so that’s what I got for lunch. I was able to talk to the chef, inform him of my dietary needs, and he brought out my food personally. After our lunch we came back to the hotel (via monorail), relaxed for a bit, and then got ready for the Dapper Day Expo. 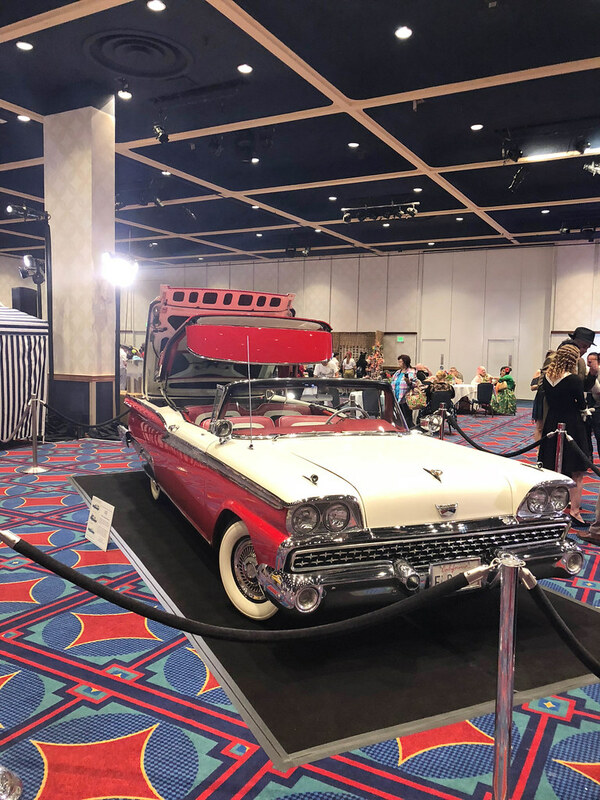 The Expo took place at the Disneyland Hotel, and it was awesome! 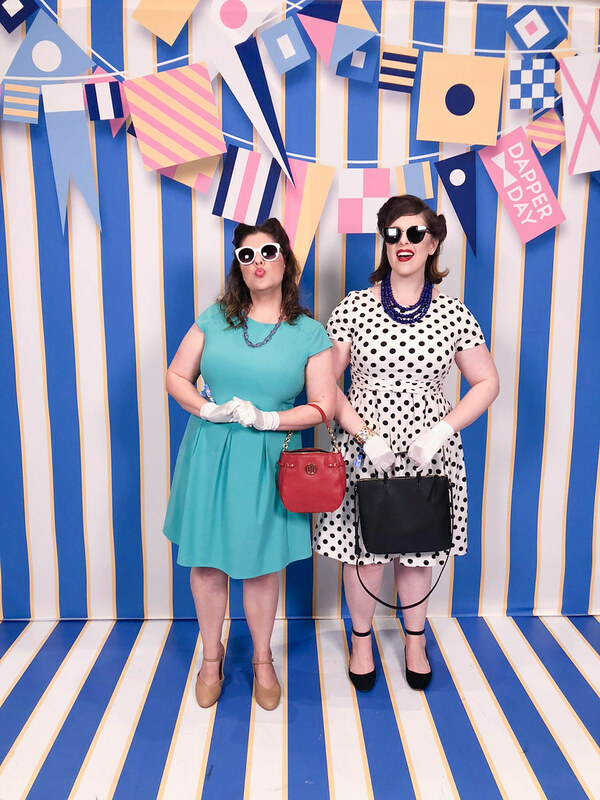 They had a bunch of vintage clothing and accessory booths, a live band with dancing, booths where you could get your makeup and hair done, and plenty of photo ops. We wandered around for a few hours soaking it all in and admiring everyone else’s attire. It was such a neat experience! We were ready to hit the parks again, so we changed back into our activewear and hit up California Adventure. After stopping for a photo with the crew from Zootopia, we made our way back over to Disneyland for dinner at Blue Bayou. Last time I was here they had a separate gluten-free menu. This time around they gave me the regular menu and told me I could pretty much order anything, and they would prepare it according to my dietary restrictions. 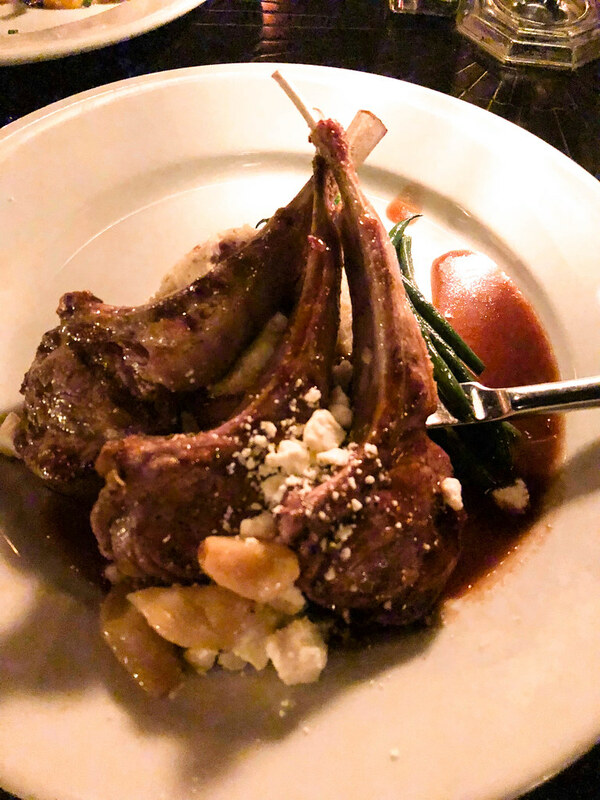 I enjoyed a yummy herb-crusted rack of lamb and a couple of gluten-free dinner rolls. 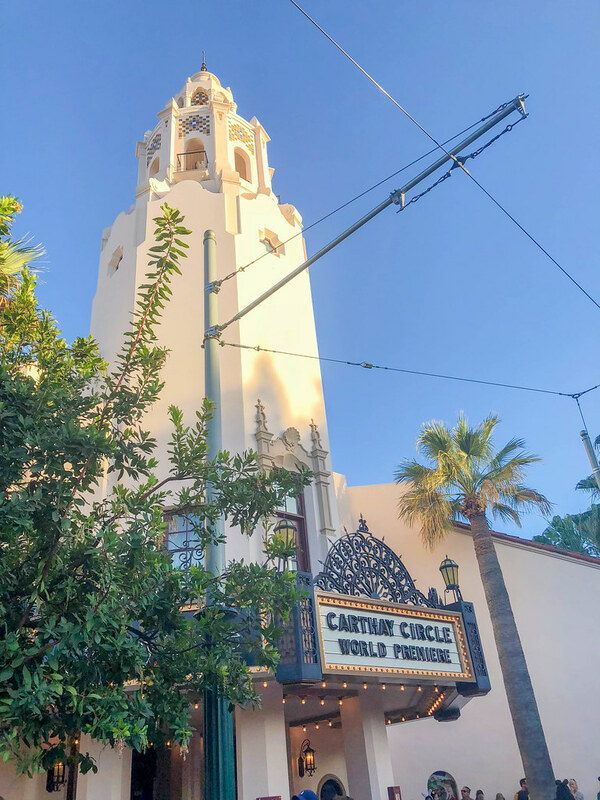 Magic Hour started at 7 am in California Adventure, and we made it to the park at 7:15 am! 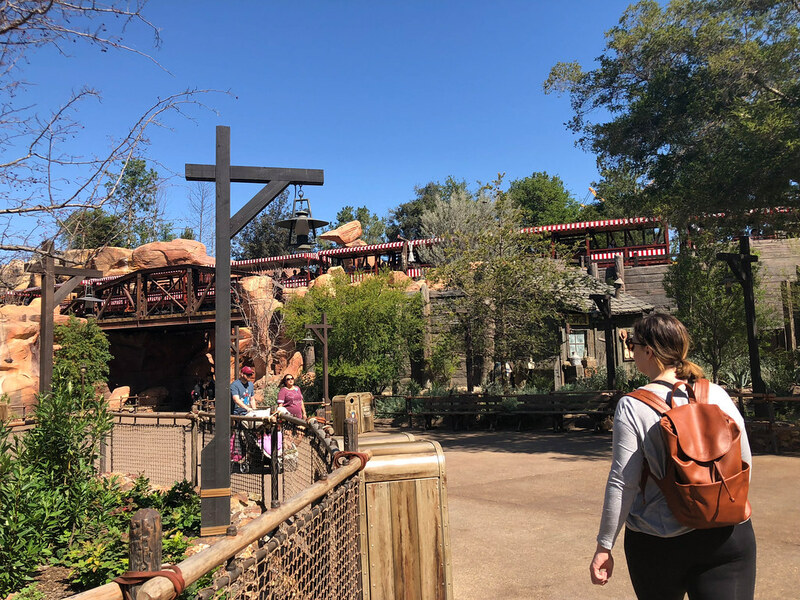 💪🏼 We immediately booked it to Radiator Springs Racers, followed by Guardians of the Galaxy. While in line for Guardians I got us our passes for Soarin’ via the MaxPass. 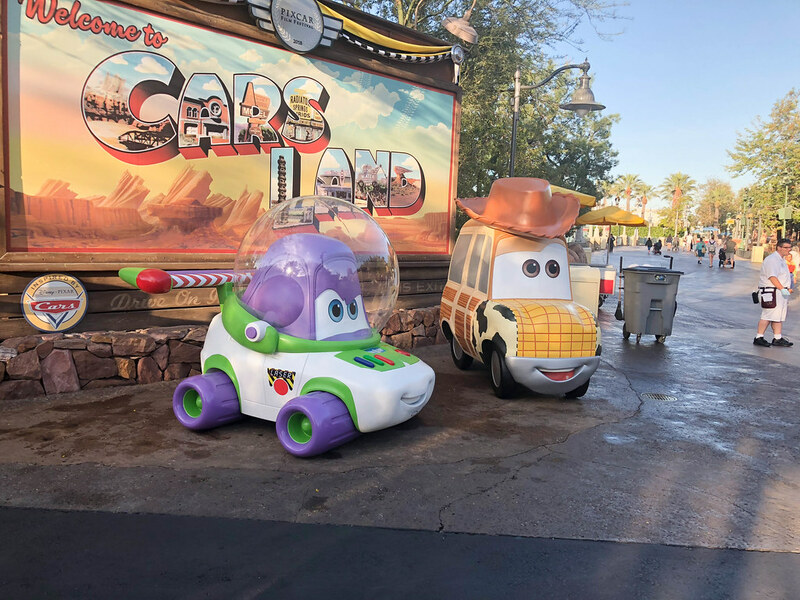 I tell ya, between Magic Hour and the MaxPass we got a LOT of rides in! After Guardians, we did Midway Mania which was pretty much the only attraction open on the pier. 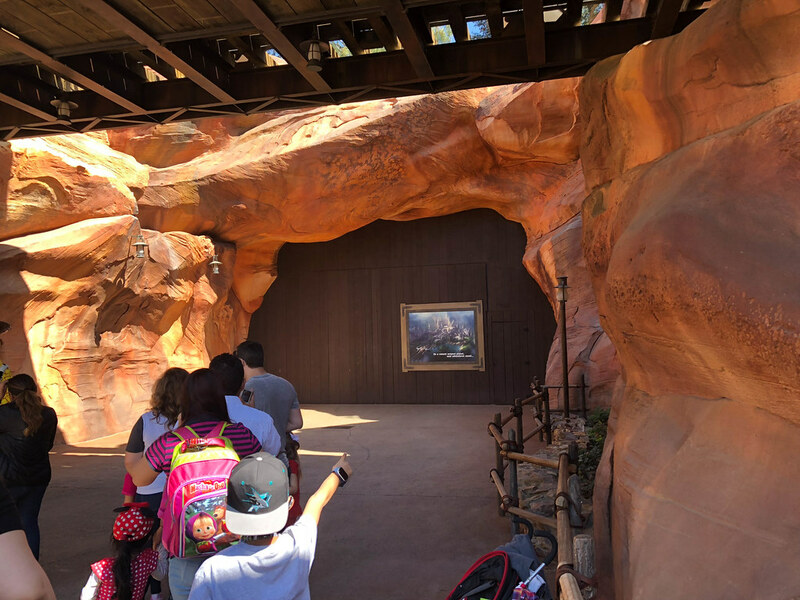 The pier is going through a remodel to be turned into Pixar Pier, so most of the big rides were closed. Luckily Midway was open! Next, we headed back over to Hollywood Studios to do one of Dani’s favorites: Animation Academy. 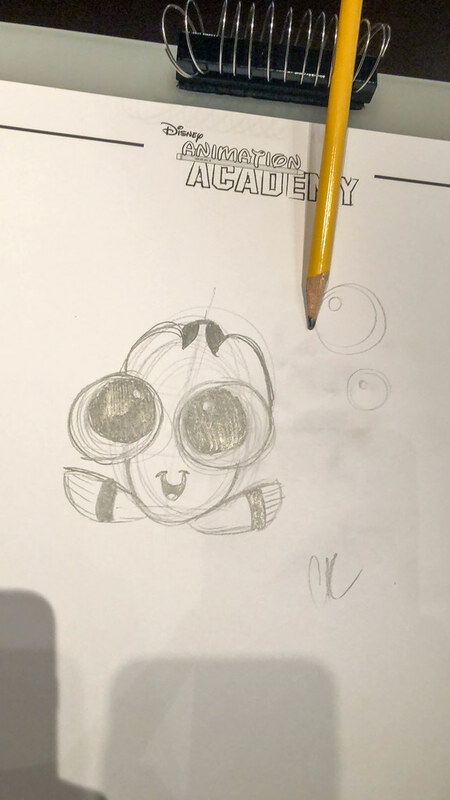 We got to draw Baby Dory from Finding Dory! 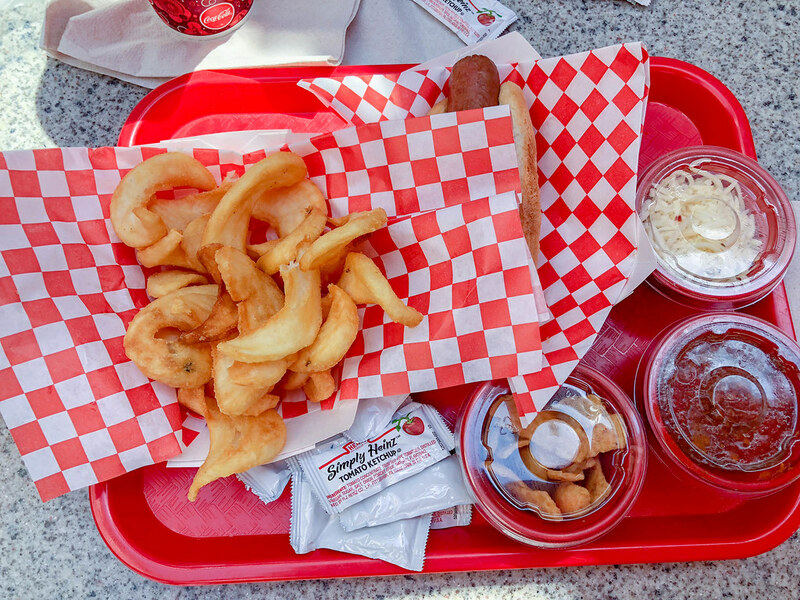 By then it was lunchtime, so we had a yummy lunch across the street at Award Wieners. I got a gluten-free chili dog, and similar to Jolly Holiday, I talked to the chef and he gave me my food directly. After lunch our passes were valid for Soarin’, so we went on that before heading back to the hotel room. We took an hour nap since and then got ready for Dapper Day again! 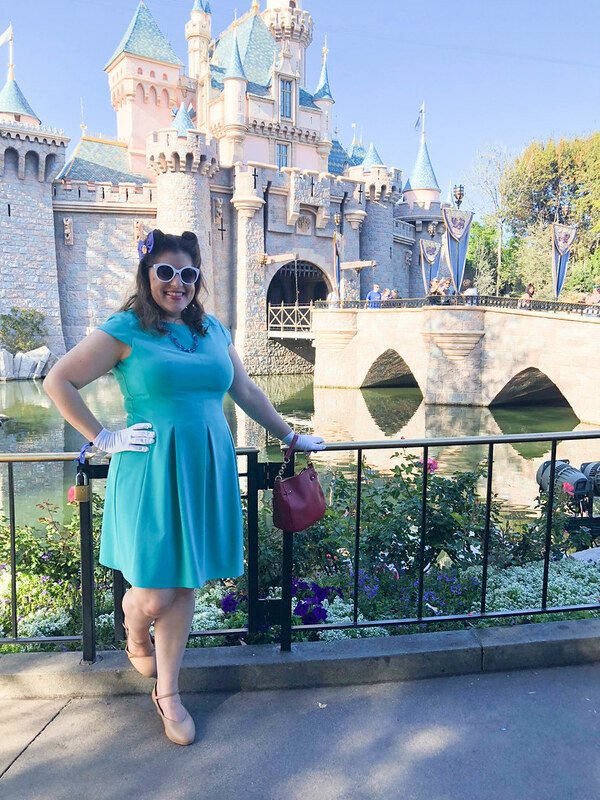 This day was the official Dapper Day outing where everyone dressed up and just strolled about the park. The expo was open too, so we got our official photos taken and then headed back into the park. We took advantage of a lot of photo ops! Dani managed to get a pic with Cruella shortly after we got into Disneyland, but unfortunately, I was unable to find Ariel. We still managed to see a few other characters including Cinderella (twice), Aurora, and Snow White. 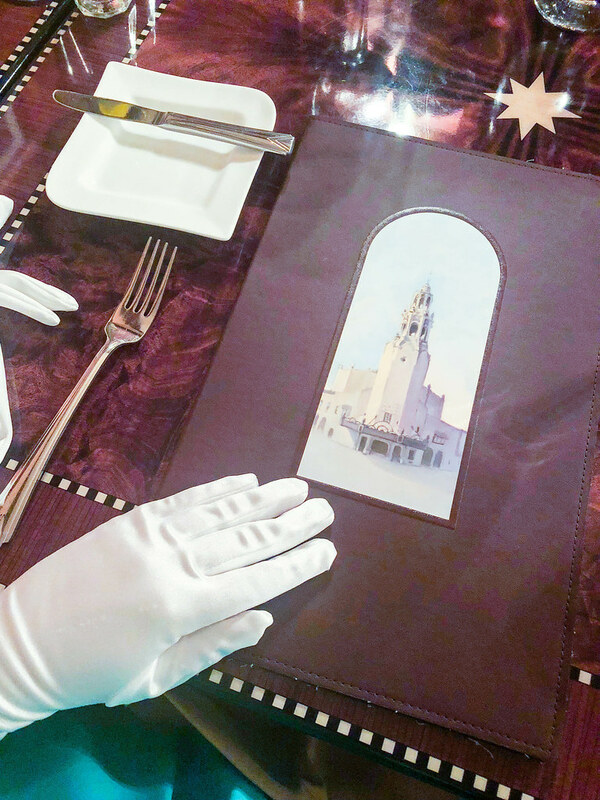 For dinner, we had reservations at Carthay Circle, which was the perfect ambiance for our attire. 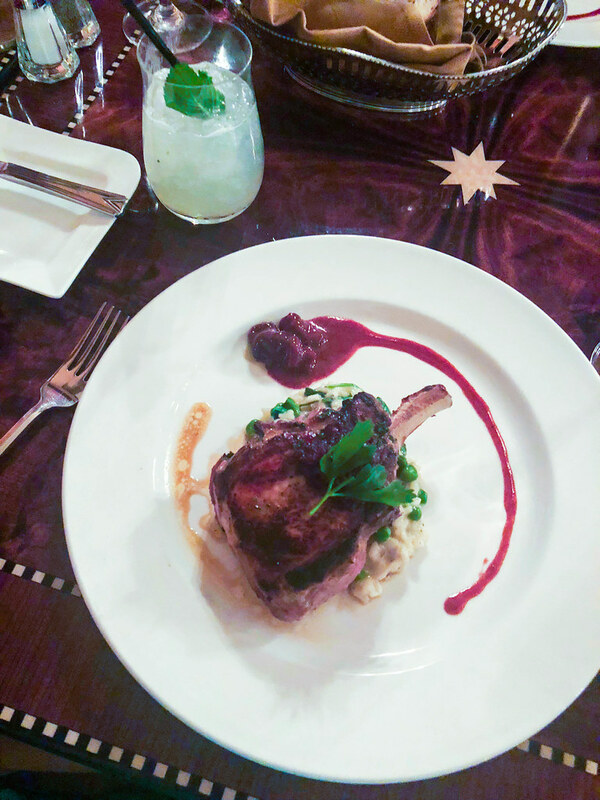 And just like at Blue Bayou, I was able to order off the regular menu and have it prepared gluten-free. 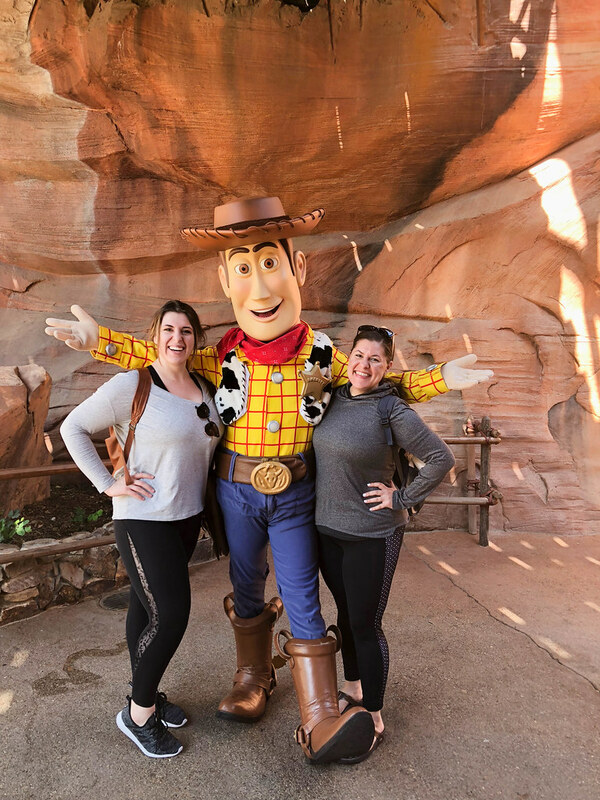 Since I was breaking in my character shoes, I was dying to get into comfier attire, so we changed into our activewear again after dinner, and booked it back to Disneyland for Indiana Jones. From there we went on as many rides as we could and were pretty much in the park until about 11:30 pm. Naturally, we were both exhausted from the last two days, so we took advantage of sleeping in. We checked out by 10:30 am, did some souvenir shopping in Downtown Disneyland, and then took a Lyft to the airport to make our 2 pm flight back home. When all was said and done, we were home around 4 pm. 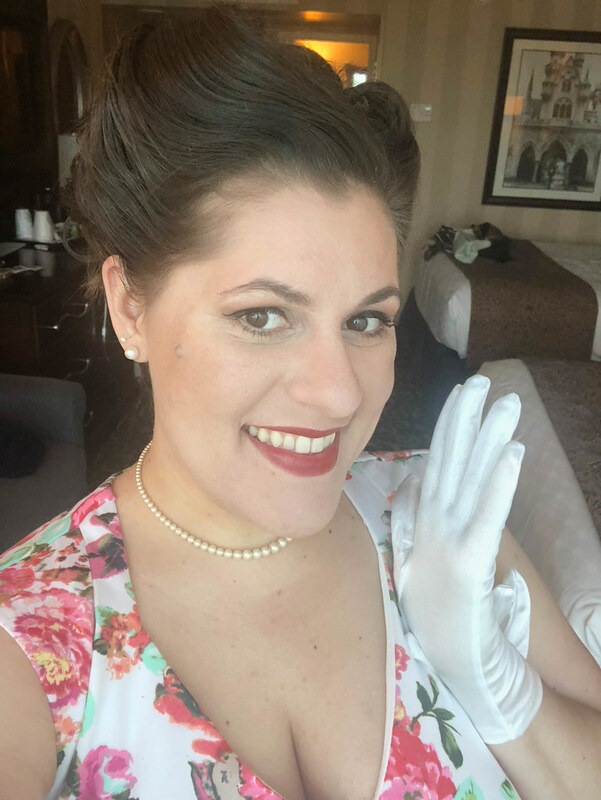 Dapper Day was such a fun experience! I’m excited to go again in the fall only this time with Joshua! You both rock the retro look! 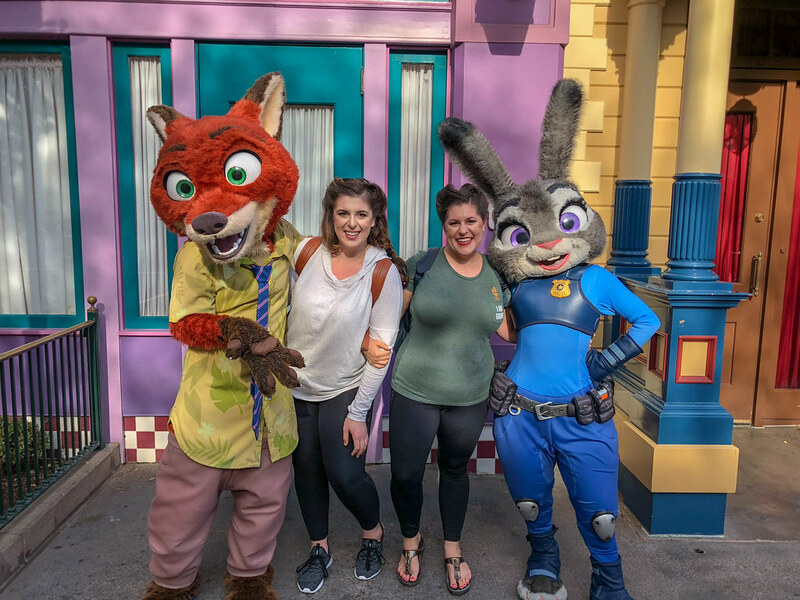 Lauren is spending 7 months in an internship at DisneyWorld. Maybe I can go visit her when they have Dapper Days! You totally could! Their next event is November 17th and 18th. Do you think you’d dress up? So fun! What a great sister experience. I hope its the first of many dapper days for you. 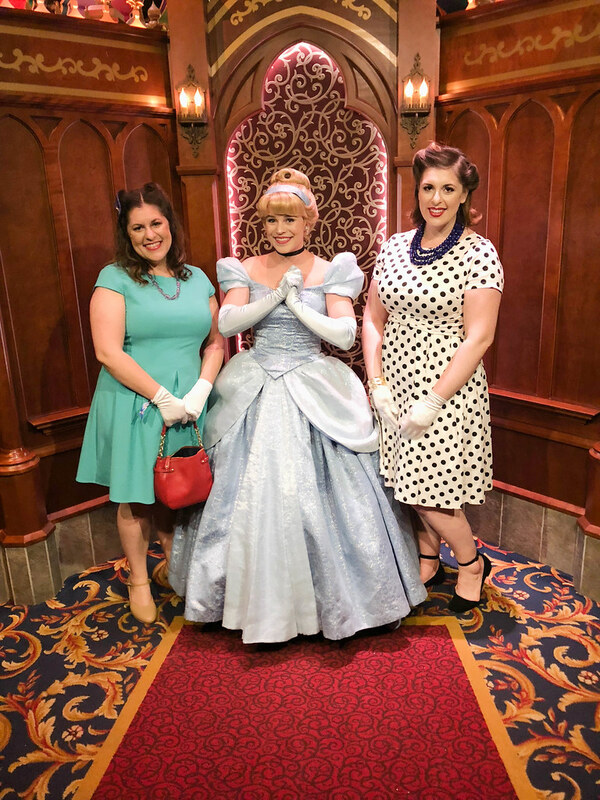 Disneyland must be fun as it is (I’ve never been, but I can imagine), but Dapper Day sounds like extra special fun 😀 You both looked stunning, I love every single one of the dresses you wore! Your sister has a lovely collection of dresses! 😱 Also, the Ariel dress totally looks like the dress emoji 👗 I actually have a dress in a similar colour but it doesn’t fit me well (bit on the tight side, lol). It looks like you had an incredible amount of fun 🙂 I used to dislike Disneyland as I am not really into theme parks, and I didn’t have a great first experience at my first one many many years ago (Tokyo Disneyland), but Nick has got me more interested in it and we did have a good time at the Paris one and more recently the Tokyo one. I was actually talking to Joshua about trying to do Dapper Day in Disneyland Paris next year as a way for us to get out of the country. I’ve seen videos of some of the attractions at Tokyo’s and they look amazing!